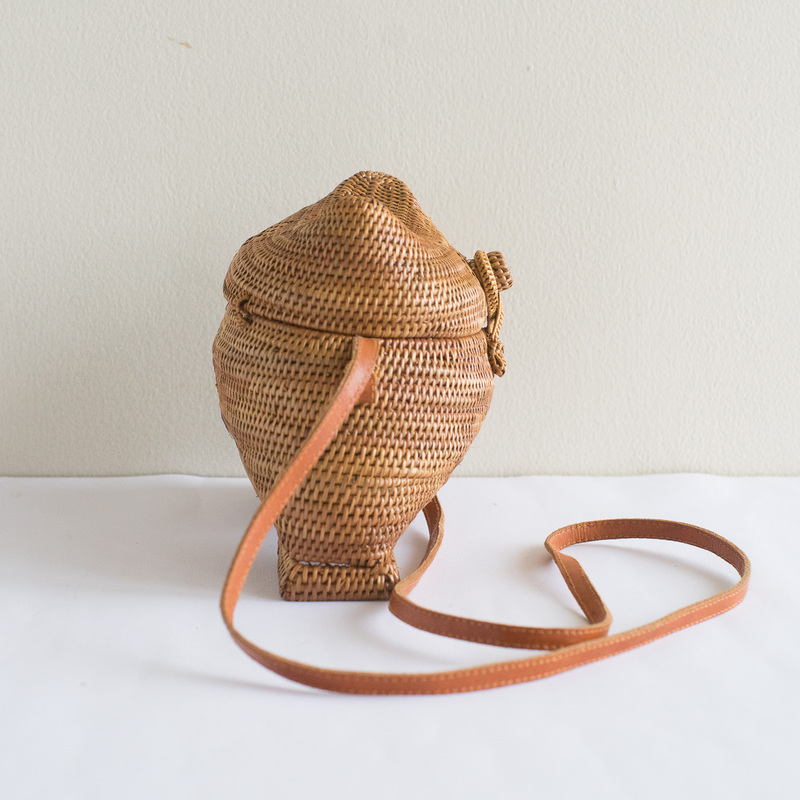 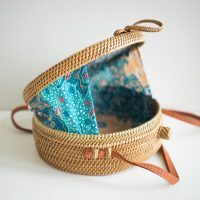 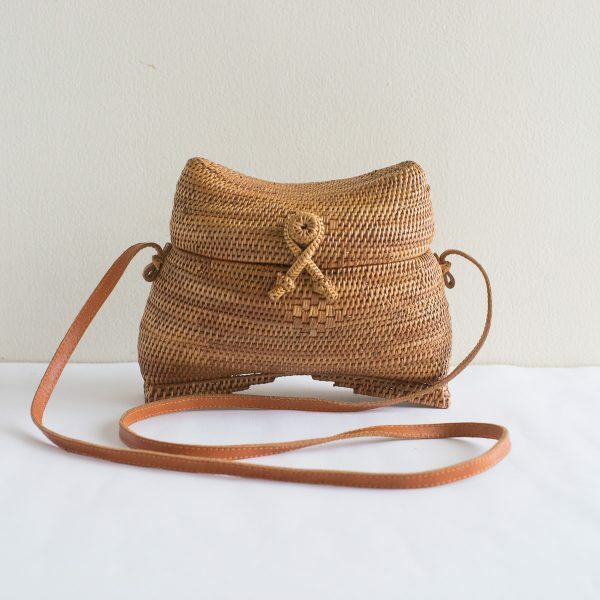 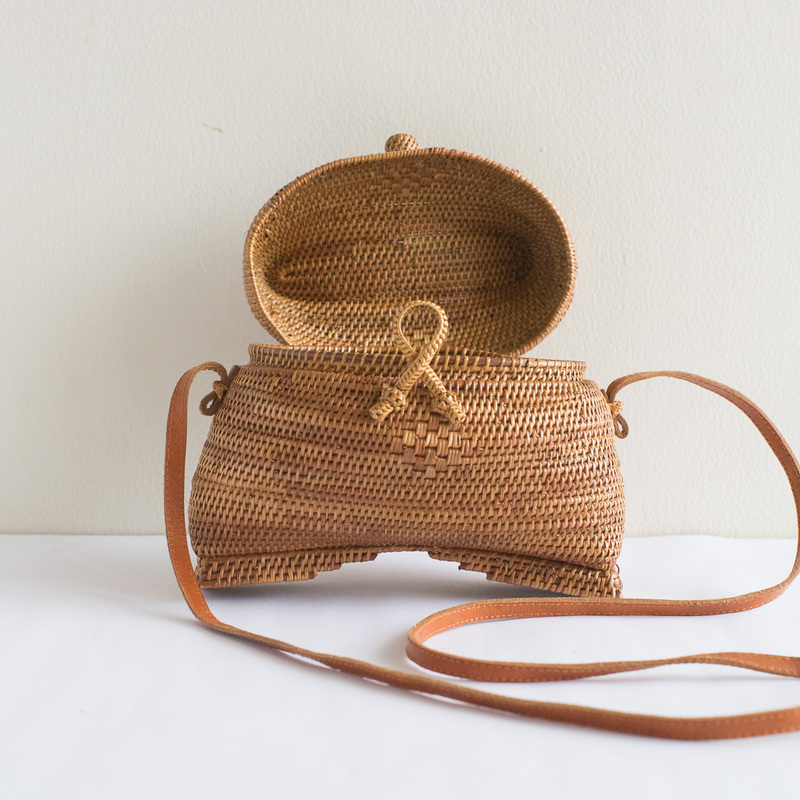 This unique, handmade rattan bag features a fisherman bag and is large enough to hold your mobile phone, a wallet, sunglasses, makeup kit, keys, and more. Just about all you need for your get-up-and-go lifestyle. 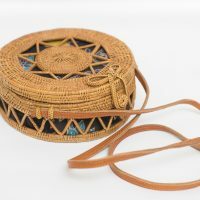 This unique, handmade rattan bag features a fisherman bag and is large enough to hold your mobile phone, a wallet, sunglasses, makeup kit, keys, and more. 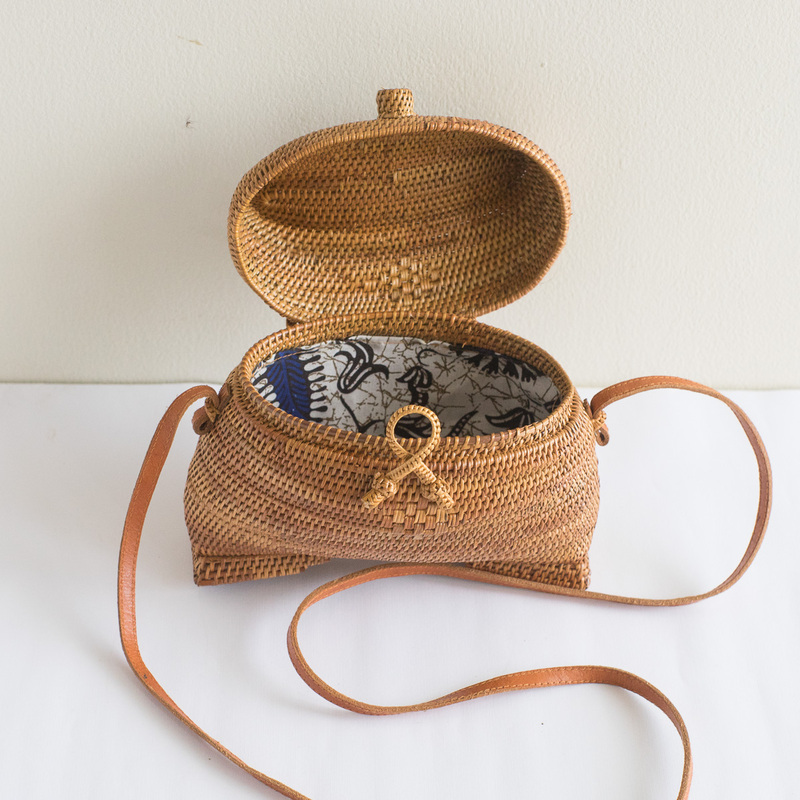 Just about all you need for your get-up-and-go lifestyle. 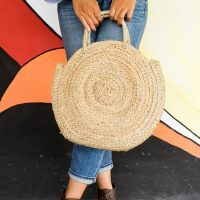 These straw bags have an elegant cloth lining batik, which we think is a great match for a day’s trip around town or just a cozy afternoon in the cafe. 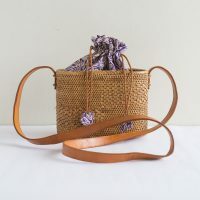 The top of this rattan bag shuts securely with a rattan loop closure.